As for me, my own personal passion for music first came as a teenager. I started out as a roadie. After a few years, however, that wasn’t enough: I wanted to not only study the practice, but also the theory behind the musical arts. I chose engineering, electronics and acoustics in college, and eventually €“ after a dream start as a studio engineer at F.O.N recording studios - I moved to London to work for Jungle Studios. I’d never done sound to picture before, and instantly loved the added dimension visuals brought to the table. 21 years later, and we are one of the most well-known audio post companies in the world. I feel privileged to have an overview of the whole company and to be active in the direction we’re taking as we move forward. We have a total of eleven audio suites, all of which use Fairlight, which I was first introduced to when I began working here. While there are many digital audio workstations on the market, nothing comes close in terms of speed and ease of editing. All our studios are also equipped with Nueman U87 and Sennheiser 416 mics, Neve Portico pre-amps, Genelec speakers and many plug-ins. 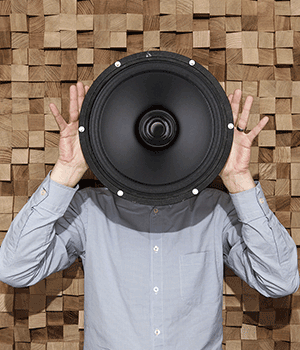 Creating award-winning sound design is about more than just getting the right tools, though. It’s also about having a deep understanding of the kind of story the sound needs to tell. Below are what I believe to be the six most important stages a great sound designer should go through along the way. First, always read the director’s treatment and research the references - even if you think you already know them. On the most recent job I did for Walkers, the brief was “Alfred Hitchcock’s ‘The Birds’ meets cool guys casually walking away from explosions”. By researching the themes and styles the director wanted me to achieve on the project, I was able to establish some initial ideas immediately. Remember, the concept may have little to do with the physical film you’re designing, but researching it helps you find the right sonic palette and mood. Foley, or the reproduction of everyday sounds like footsteps, is the glue that creates real-world elements of the film. The more thorough you are with this stage, the more polished the final mix will be. For Walkers, no audio had been shot on location, so everything had to be done using Fairlight in post, including vocal reactions. Choosing the right spot effects is critical. The internet is awash with cliched, badly recorded effects and this is the biggest reason student films and home movies can sound awful. You may have two million SFX at your disposal, but finding the right sound is still difficult and sometimes what you’re looking for doesn’t exist. Think about how many sounds there are in the real world, let alone the “unreal” world. Two million wouldn’t get close! Audiobase sits in the core of Fairlight, which significantly speeds up SFX searches. It is also easy for us to upload our own sound design into, which brings me onto my next point - if you can’t find what you’re looking for go out and record it, don’t just use what’s available. That brings me onto my next point. When the sound I need isn’t already in our in-house library, I head out and record it. Field recording is one of my favourite hobbies, there are so many pocket recorders now like the Rode XY or Zoom series, that capturing the best quality sound has never been easier. It’s important to mention though that the real sound isn’t necessarily the right sound. The Walkers film had many moving elements and to get the right sounds I had to do a lot of field recording. There were beer barrels and a fridge being dragged along a road in the final film, the sound effects for which I created using metal garden chairs and an old shredding machine. This is the meta-physical bit; it’s the bit where you sonically express the creative idea. This can take many forms including music, but importantly it’s manipulating and creating sound in a way that drives the emotion of the film. For Walkers, the most important element was creating chaos very quickly. To achieve this I used many sounds that build to make you feel anxious; dogs barking, car alarms, sirens - these aren’t sounds you really focus on, but they created the subliminal tension that was crucial in the final film. If you get all the key elements above right, the mix will be easy. The best advice I can give is if you find yourself turning something down and down again, it’s the wrong sound. By the end of my mixing process, I play each track of my design, anything that is imperceptibly quiet gets deleted to allow space for other things. It seems strange to strip out hard work, but I can’t tell you how important it is if you want a great final result!